Illinois joined a handful of states and the city of Chicago in repealing a so-called "tampon tax" as Gov. Bruce Rauner approved a bill that exempts feminine hygiene products from the state sales tax. Currently, tampons and sanitary napkins are taxed by the state of Illinois as "luxury items" at 6.25 percent. The new law, which takes effect Jan. 1, removes that tax by putting the products in the same category as necessities like shampoo. Earlier this year, the Chicago City Council and Cook County commissioners voted to exempt the products from their sales taxes. The change comes amid a campaign by advocates for women's issues to end the tax in U.S. states and abroad. "This is just the start of a conversation about the unfair 'pink taxes' women face as they buy products priced higher than similar ones marketed to men, or in this case, as they have to spend on products that men don't," said state Sen. Melinda Bush, D-Grayslake. SPRINGFIELD — Illinois drivers will have an opportunity to support Veterans’ Homes. Veterans will have more options to seek treatment for addictions and the local veterans’ assistance commissions will have greater ability to partner with drug courts. 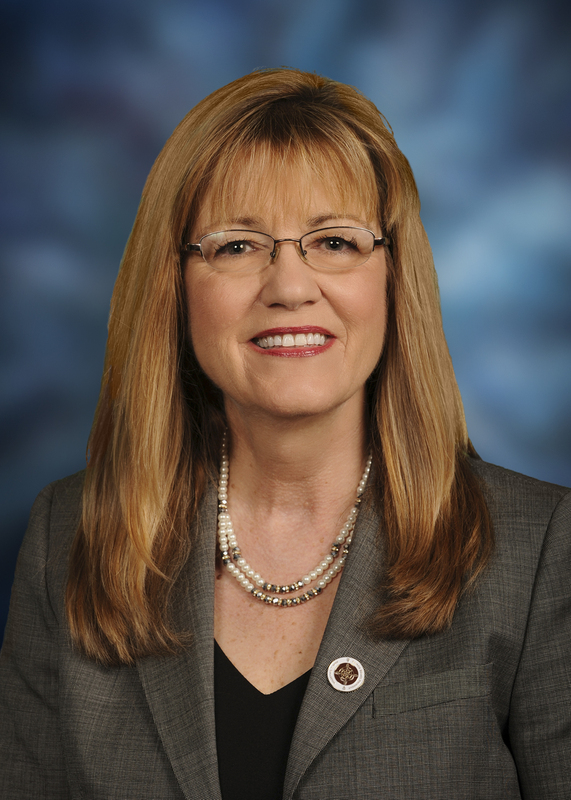 Veterans seeking treatment will be helped under two new laws sponsored by State Sen. Melinda Bush. The new law enacted by Senate Bill 3401 will allow veterans’ assistance commissions to provide mentoring, mental health and substance abuse programs in conjunction with Veteran & Service members Courts, that were specifically created to help veterans facing addiction. The governor also signed House Bill 6149, which lets Illinois drivers sign up to support veterans’ homes with a new specialty decal under the state’s streamlined universal license plate and decal system. Funds from the specialty decal will go toward the Illinois Veterans’ Home Fund, which supports the organizations that aid and care for veterans with disabilities. The provisions under Senate Bill 3401 and House Bill 6149 take effect Jan. 1, 2017. Beginning that day, drivers may sign up for the Veterans’ Home specialty decal by completing the following steps. Mail the completed copy of the Specialty License Plate Request Form and a $26 check made out to “Illinois Secretary of State” to the address on the form. Please note that this form has to be mailed to the Secretary of State in Springfield at the office address stated on the form. This cannot be done at your local Driver Services Facility. SPRINGFIELD — To equip police investigators with the most up-to-date knowledge and skills to respond to domestic violence as soon as they answer a call, the governor signed a proposal sponsored by State Sen. Melinda Bush that would provide additional training for law enforcement officers. Current law recommends but does not require police departments to coordinate domestic violence response training with service organizations and develop appropriate arrest procedures. Training under the new legislation is aimed at the prevention of further victimization, focusing on looking beyond the physical evidence of domestic violence and giving officers an understanding of the deeper psychological aspects of abusive relationships. The legislation was House Bill 5538. It takes effect Jan. 1, 2017. A push to get car owners in Illinois to help monarch butterflies took flight Monday. The once common monarch butterfly is in trouble because of the shrinking availability of the milkweed plants that monarch caterpillars feed on, environmental scientists say. To help reverse the decline, Illinois plans to plant milkweed on highway median strips under a law signed by Gov. Bruce Rauner on Friday. The money will come from new monarch butterfly license plate stickers. “Monarchs literally cannot survive without milkweed,” state Sen. Melinda Bush, D-Grayslake, said at a news conference Monday at the Peggy Notebaert Nature Museum. Bush has advocated for monarch preservation bills for several years. It wasn’t until a generic, decal-based specialty plate was created last year that her efforts gained traction in Springfield. The monarch sticker is the first design made for the new plates, said Dave Drucker, spokesman for the Secretary of State’s office. A design for the sticker will be finalized only once 2,000 residents pledge to buy it. The sticker will cost $25 each year, Drucker said. Of that fee, $10 will go toward planting milkweed along highway median strips. The sticker fee is in addition to the $101 renewal for the specialty license plate. 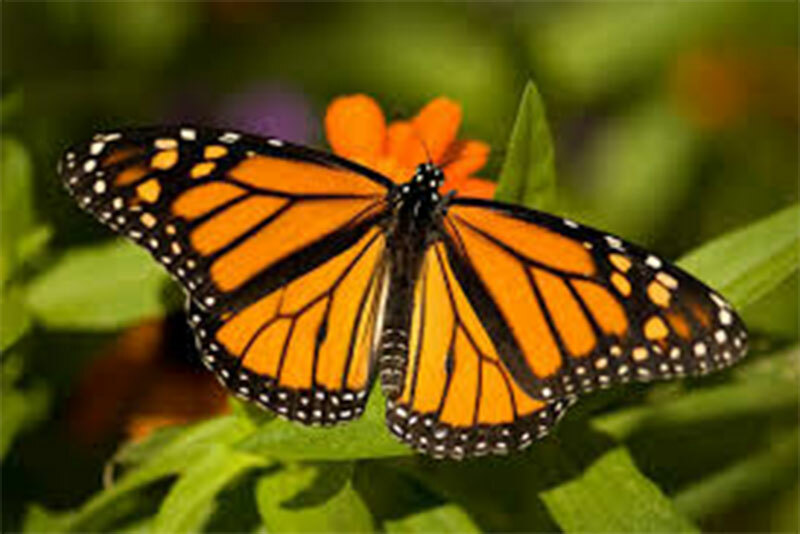 Rare for its southward migration each winter, the monarch butterfly will lay eggs only on the milkweed plant, said Doug Taron, vice president of conservation and research at the Peggy Notebaert Nature Museum. Read the full article at the Chicago Sun-Times.